I know I have a thing for islands, don't I? 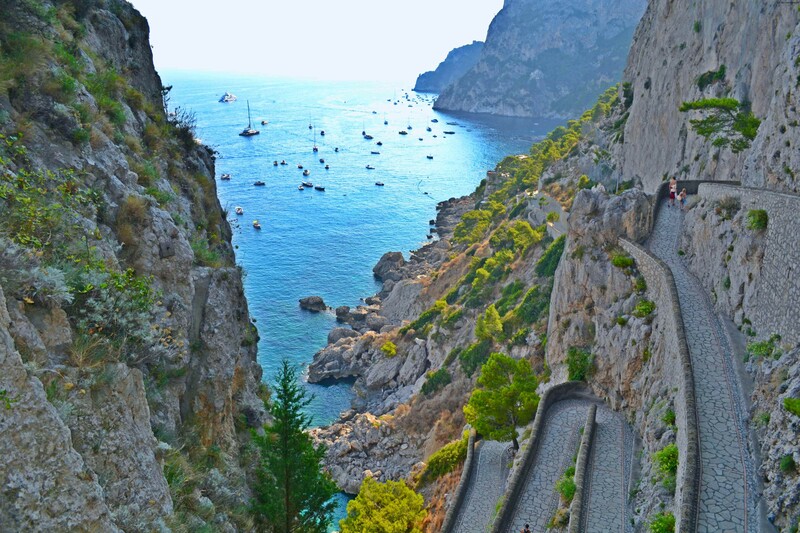 Well, this time, it's a European destination, close-by, still a tiny heaven simply breathtaking and ultra glamorous. 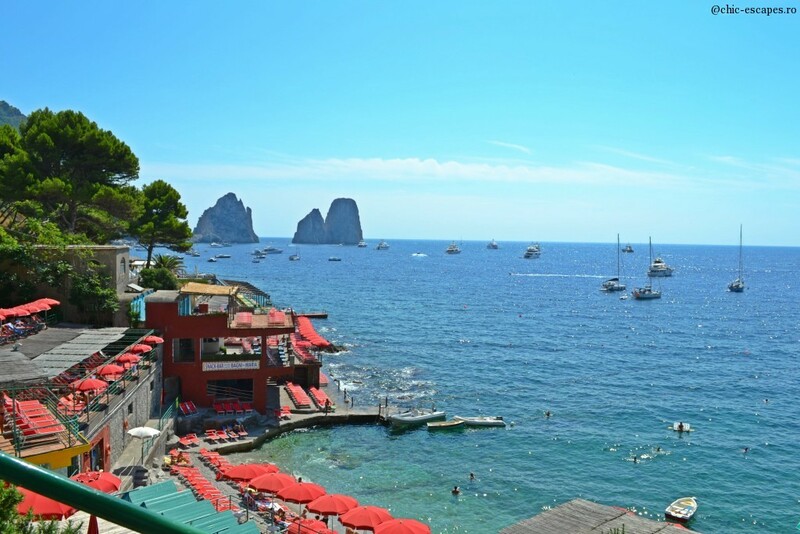 No wonder this is where celebrities love to spend their vacations. Accessible by ferry from Naples, Capri is a hi-luxury destination, where you can enjoy the Italian "la dolce vita" at its best. 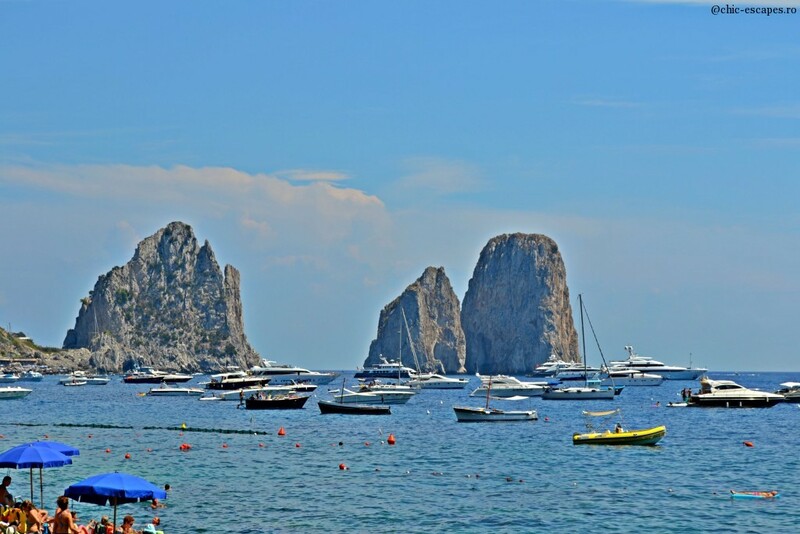 Capri is a paradise for fashionistas, a perfect getaway for celebrities that hide in 5star private villas high on Capri's hills. The place is full of hi-fashion boutiques from Gucci, Fendi to Prada or Ferragamo, spas, perfumeries and restaurants. If you're just visiting for a day, here are top must -do things in Capri. 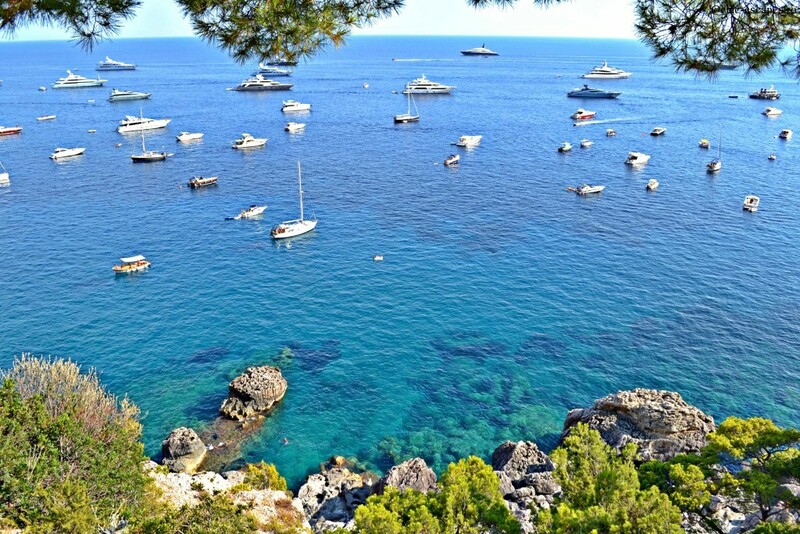 Even if you are in Capri for a few hours, just go for a walk. 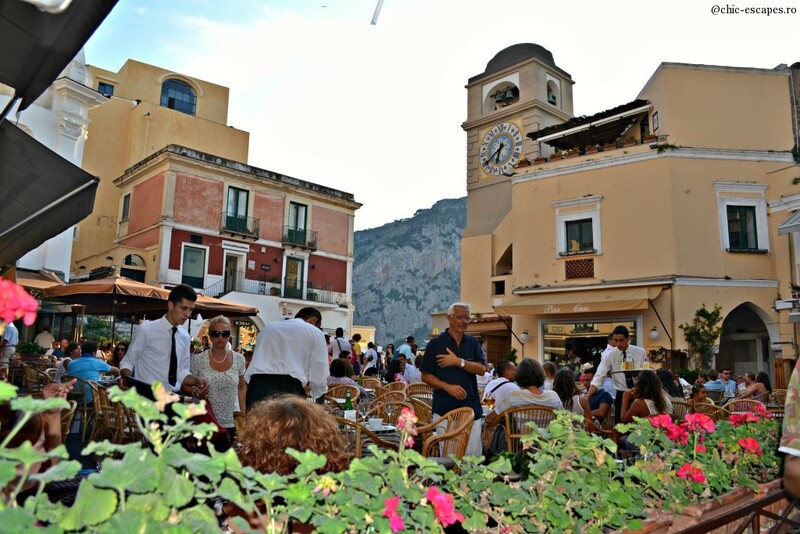 Its' the best way to enjoy the island and feel the italian charm. 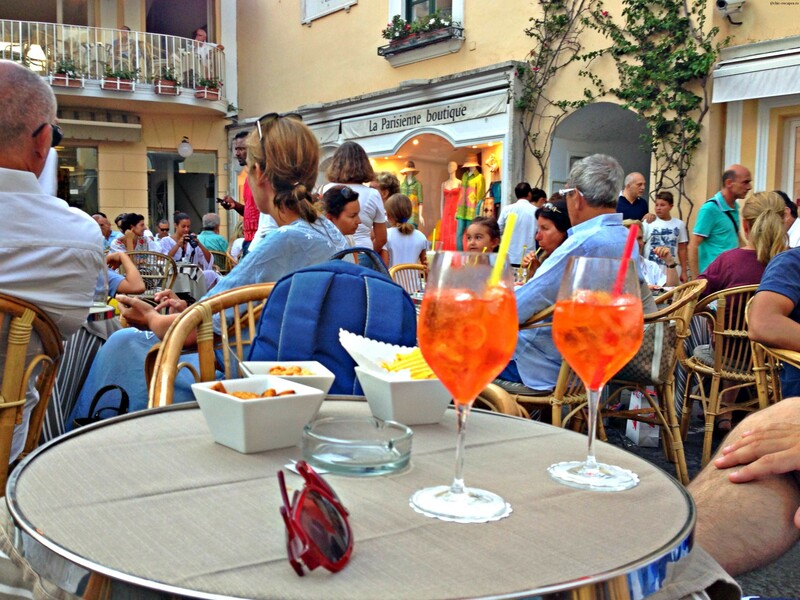 Grab a pair of comfy sandals ( yeah, Gucci would be perfect:) and discover the hidden walkways, the Roman villas shaded by bougainvilleas, the glam window shops, the perfumeries and the lemon juice or ice-cream. 3. 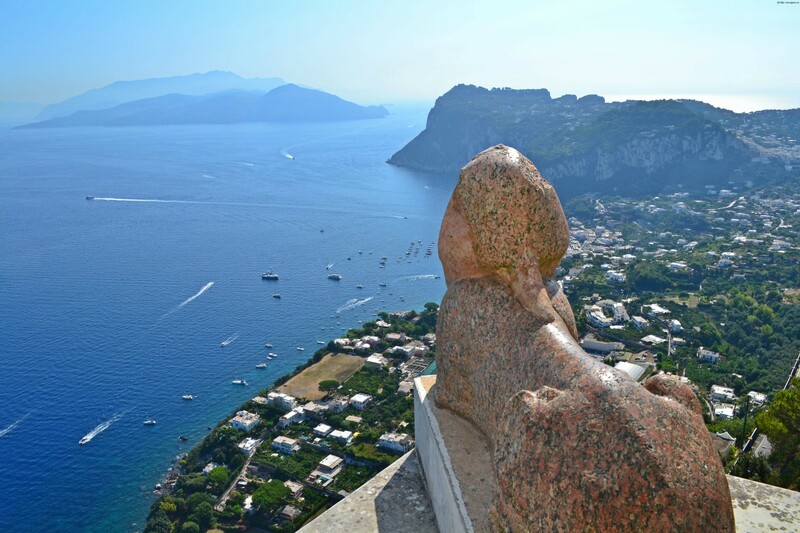 Visit Villa San Michelle in AnaCapri and enjoy the magnificent view from the clift. The villa belonged to Axel Munthe and it is still very much surrounded by legends. The panoramic view is unbelievable. Must do ! 4. My favourites place: Monte Solaro. 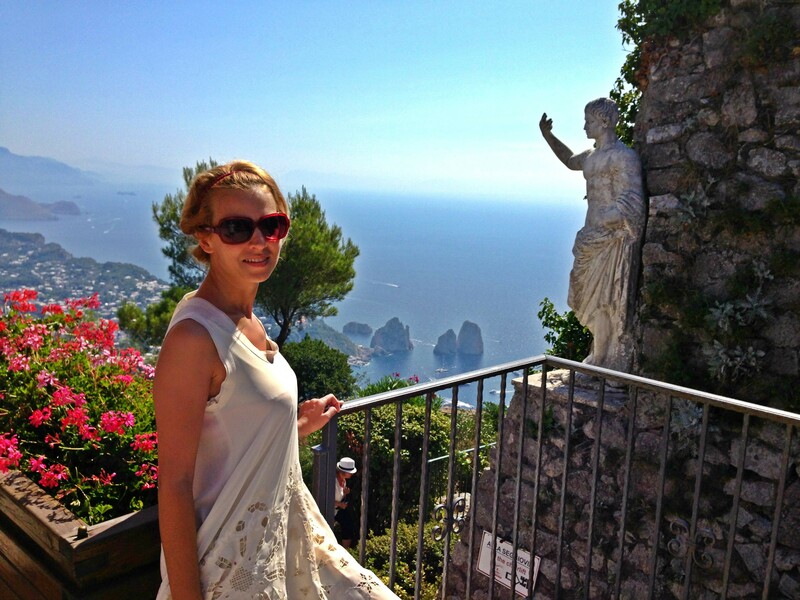 It is the highest point on the island, accessible only by chairlift ( quite scary, I admit:). 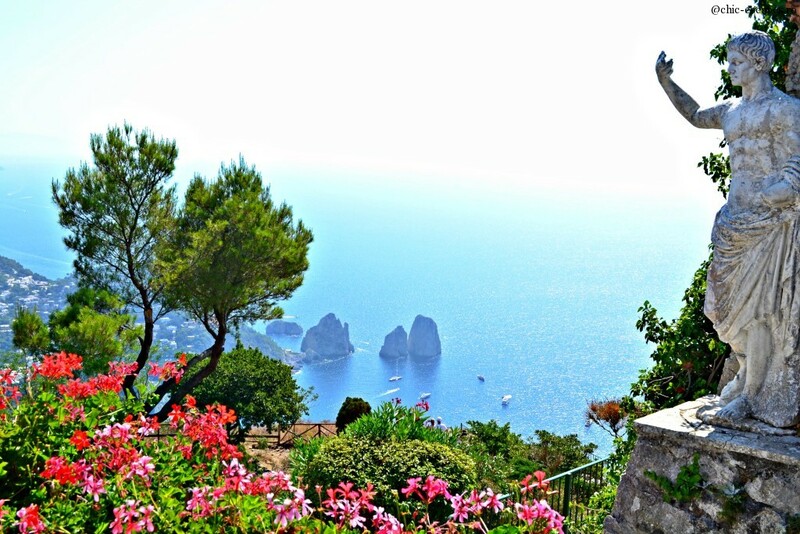 I have seen this image imprinted on every book about Capri and I wanted to much to go there. 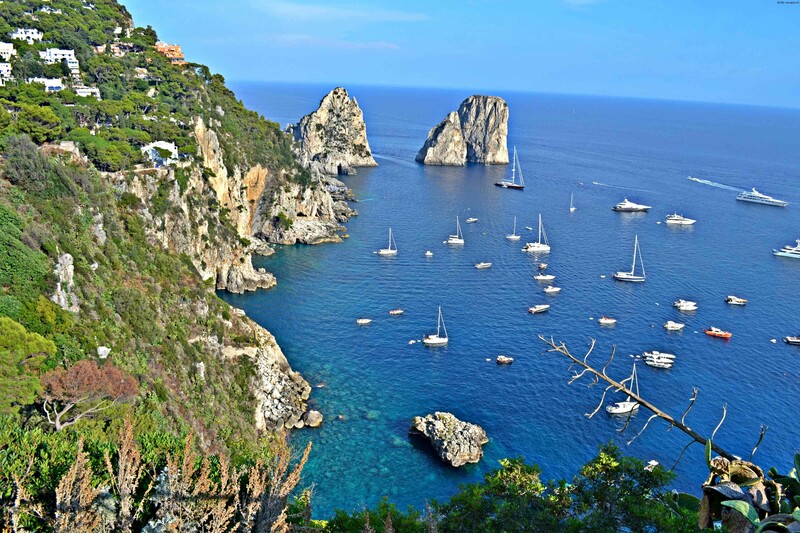 The trip was quite an adventure, but the scenery is by far the most spectacular Capri can offer. Ave! Marina Piccola Beach in Capri! 6. 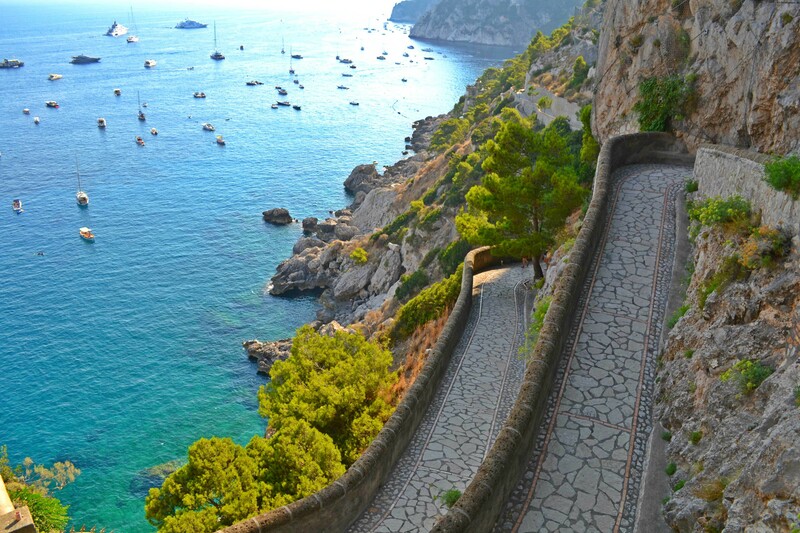 Must enjoy a long walk along the so famous Via Krupp. It is breathtaking and even more spectacular in real life. One of the best panoramic roads I have ever experienced . 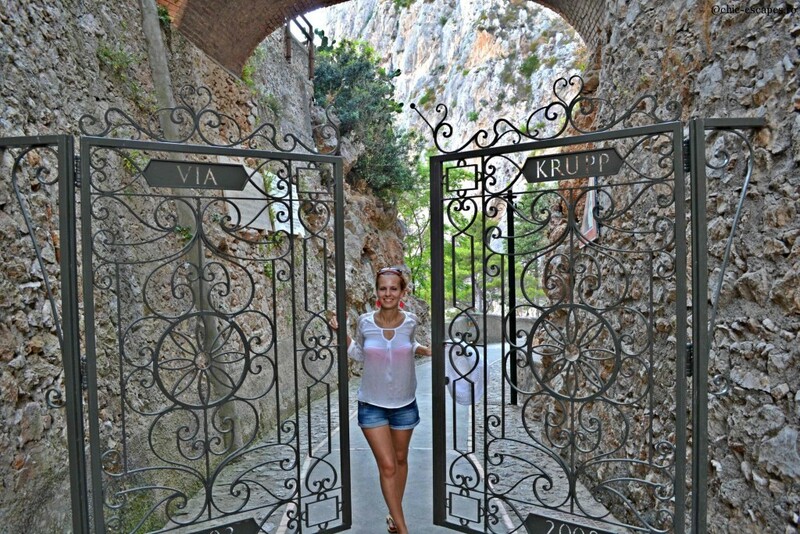 Enjoy Via Krupp! 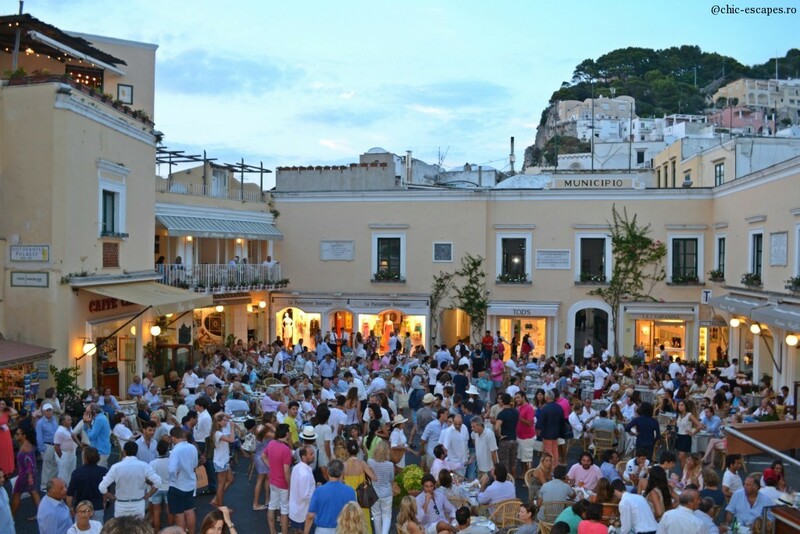 Must do in Capri! 7. And if you got this far, by strolling around Via Krupp, you will reach the Augustus Gardens, high on the hills. I know, I have used a lot of "spectacular" in this post, but what can I say... 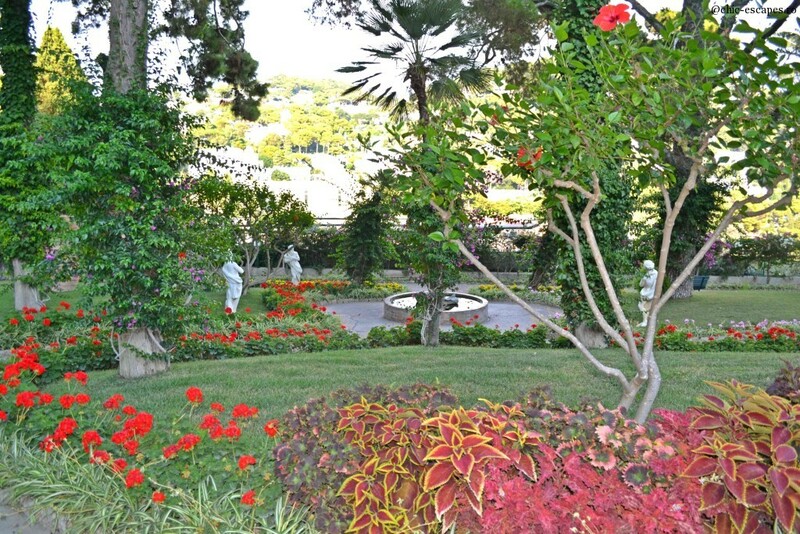 The Augustus Gardens are indeed spectacular, with magical panoramically views. 8. 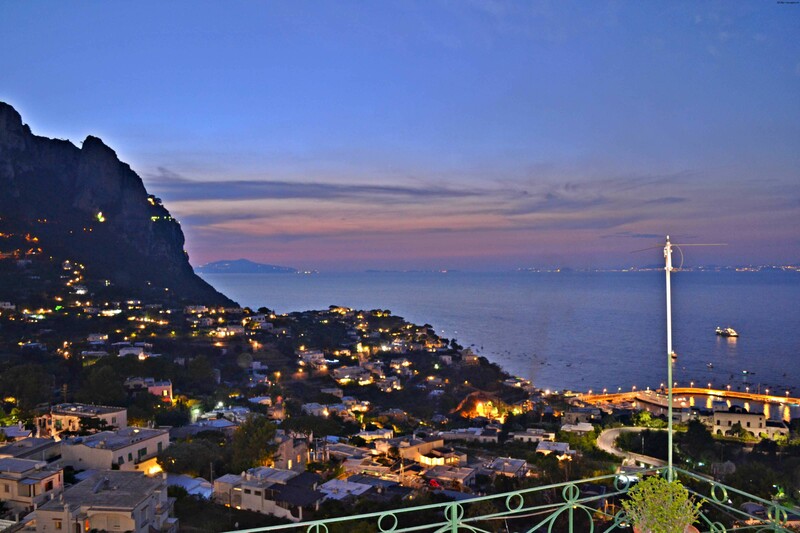 The days tend to be long in Capri, enjoy the walk, the blue waters and of course ....the sunset!